This hydrating skin protectant defends skin against environmental damage and free radicals while hydrating the skin. This formula also repairs and strengthens the skin's collagen and elastin levels. Provides skin with protection from pollution, free radicals and weather changes. Pulls in moisture from the air to alleviate skin dryness. Use in AM as needed: Shake well and spray small amount into palm. Evenly distribute over face, including eye area, lips, neck and décolleté. Desert Mist is magic. It is great for your skin and it makes your skin look dewy and youthful. Never leave home without it. I am a licensed esthetician and use exclusively Arcona products so I will admit I am a little biased. That said, this is an excellent product. 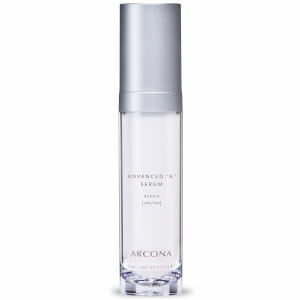 Like everything else in the Arcona lineup, this product is best used as part of a complete system though I do believe you will get some nice results from this product alone if it is appropriate for your skin type. So what does it do? This product will go on after your moisturizer to help lock in moisture and block out environmental aggressors and free radicals to help protect your skin from the elements and supplement your SPF. 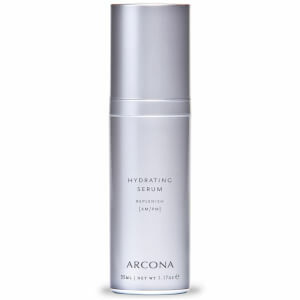 It is incredibly lightweight like most Arcona products but does a really great job at shielding your skin. Overall I find this product is really unique and extremely effective. My clients absolutely love it! This product is recommended for all skin types but I strongly discourage you from using this product if you are at all breakout prone. I myself tried using this product and loved how it felt but it made me breakout like crazy! 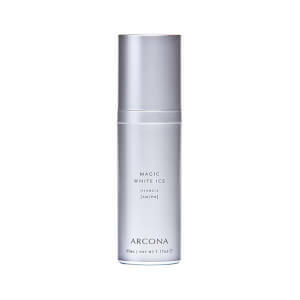 I have since switched to Arcona's Mineral Magic and I recommend you do the same if you are oily and/or breakout prone. Expires fast - so use it or lose it! All my facial products were ARCONA - but then they reformulated. When they say use within 6 months now - they mean it. This product just like the Desert Mist... turned BROWN and disgusting within 6 months. It smells foul and trust me at this price while I love that they don't have any parabens...their earlier options didn't either they lasted for years. So they've changed their formula or their packaging. Either way - try something else. The product does hydrate well but the application is tricky because it is so watery. To ease application, I had to mix a pump with a thicker serum or face cream. I highly recommend for anyone with combination skin as this can give any current product an added moisture boost that can last all day. This product lasted me about 4 months with once daily use. When I moved from Atlanta to Phoenix, my combination skin went CRAZY!! I originally tried this product out of desperation since I had tried several lotions that just made my T-zone ridiculously oily. Best decision of all time. It has balanced my skin completely and I would recommend it to anyone who is struggling with a dry climate. Arcona also improved the pump on the bottle recently, which makes it 5 stars for me as that was the one complaint I had with the product! All there stuff is amazing, it balances and gives you a healthy glowing complexion. The desert mist is amazing, it seals in moisture and lasts all day. I have very sensitive skin and have tried every product known to man for years to moisturize and heal my skin without being greasy and heavy. Even the product for sensitive skin that my esthician gave me didn't work well. Then I tried Desert Mist. I saw an immediate difference just after 2 applications. I will never be without it. Thanks Arcona! Your products have changed my skin!! Great makeup base and skin protector! I love this product. I was hesitant to purchase this because there were other reviewers which complained about the smell. I'm not too fond of the smell either, but it is tolerable and disappears in about a minute so it doesn't really bother me.But seriously, this is the best primer for foundation. Ever!! And it adds moisture and vitamin C to your skin. Can it get any better? I use it after Magic White Ice. It does not make me break out and seems to lessen the amount of access oil on my face. I think my face is more balanced when I use Desert Mist. I am the first person to admit that I am an ARCONA devotee, but the reason for this is that this product line REALLY WORKS! I use Desert Mist over my ARCONA Booster Defense Serum when the weather turns drier and chillier, and have never suffered from wind/cold-chapped skin when using this product. It is hydrating without clogging my pores/causing blemishes and is never sticky. I can still apply a moisturizer over it, too. Read the ingredients list and you'll see why this is a superior product. A bottle gets me through the whole season so it's a good value too. Smells delicious, and unlike a lot of vitamin C products it doesn't leave orangey residue on my very fair skin. Love it and highly recommend it!